In an interview with Taiwan Today March 20, Chen said facilitating Taiwan’s meaningful participation in the assembly—the decision-making body of the World Health Organization—will advance the WHO’s top priority of achieving universal health coverage. 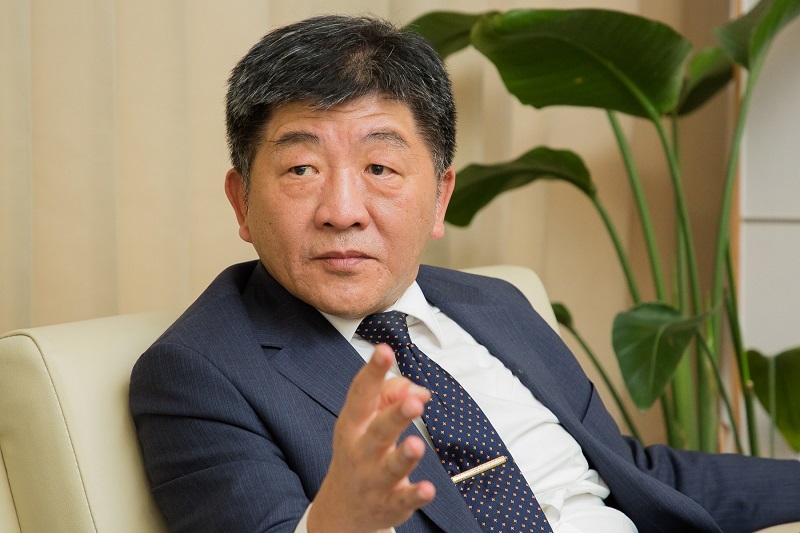 Ensuring comprehensive access to services is at the heart of Taiwan’s approach, as evidenced by the National Health Insurance system and the country’s wide-ranging international medical support programs, he added. Chen cited the Taiwan International Healthcare Training Center as a prime example of these efforts. Founded in 2002 by the Ministry of Health and Welfare, it offers foreign professionals instruction in clinical medicine, traditional Chinese treatments and management, with about 1,500 staffers from 65 countries and territories completing courses by the end of last year. Equally impactful is the Global Medical Instruments Support and Service Program. Launched by the MOHW in 2005, it has integrated efforts by hospitals across Taiwan to provide underutilized equipment to developing nations. More than 5,400 items have been shipped to medical institutions in 33 countries and territories through the project. Chen said in recent years, a major focus of the ministry’s international outreach is deepening cooperation with countries in South and Southeast Asia. Since 2017, the MOHW has commissioned six Taiwan medical centers to provide instructional courses for health care personnel from India, Indonesia, Malaysia, the Philippines, Thailand and Vietnam, respectively. In 2018, a total of 336 medical workers underwent training in Taiwan through the initiative, which was expanded earlier this year to include Brunei and Myanmar. According to the minister, meaningful participation in the WHO will allow Taiwan to share its wealth of experience in implementing international support and training programs. It would also eliminate a gap in the global disease prevention network, he said. As a responsible member of the international community, Taiwan is mitigating the impact of its exclusion from the system and protecting the health and welfare of people at home and abroad, he added. This is spotlighted, Chen said, by the establishment of the National Mosquito-Borne Diseases Control Research Center in April 2016 in Miaoli County, northern Taiwan, as well as the launch of its branch office the following January in Tainan City, southern Taiwan. Equipped with state-of-the-art laboratories, the center under the MOHW-supported National Health Research Institutes is strengthening methods of locating mosquito breeding sites and tackling carriers of viruses like dengue and Zika. “Dengue, in particular, is a major public health issue in much of Southeast Asia and Taiwan’s experience in fighting the disease is invaluable,” Chen said. Also noteworthy is the country’s knowledge in preventing, screening for and treating tuberculosis. According to MOHW statistics, the incidence rate of TB halved in Taiwan between 2005 and 2018 to a total of 37 cases for every 100,000 people. “This is a significant achievement as there is considerable travel between Taiwan and neighboring countries and territories with high TB infection rates,” the minister said. According to Chen, the key to these accomplishments is ensuring medical services are affordable and universally accessible. This is why the most important experience Taiwan has to share with the world is the development of the NHI, he added. The system offers access to a comprehensive range of services spanning Western and traditional Chinese medicine as well as dental care. It helped raised average life expectancy to 80.4 years in 2017 from 74.5 in the year of its launch in 1995. To ensure fairness, NHI premiums are set as a proportion of an individual’s income. This figure is currently 4.69 percent, with insured workers, employers and the government contributing 30, 60 and 10 percent of this amount, respectively. There is also a 1.91 percent surcharge on supplementary earnings like bonuses and stock revenues. The number of treatments and medications covered by the NHI has been consistently expanded over the years. Among the recent additions is an antiviral drug for hepatitis C. Its inclusion is expected to significantly boost public well-being as the illness, a major cause of liver cancer, affects up to 400,000 people in Taiwan, according to the MOHW. This year, the government has allocated NT$6.54 billion (US$211.4 million) to roll out the drug to all hepatitis C patients in Taiwan. The government’s aim is to eradicate the disease locally by 2025, five years ahead of the WHO target for eliminating viral hepatitis worldwide. According to Chen, Taiwan’s commitment to universal health care is underscored by the scope of the NHI. The system covers more than 99 percent of the population, including prisoners, foreigners studying, working and residing in Taiwan, and newborns of non-nationals. In a survey conducted by the MOHW last year, 86.5 percent of respondents expressed satisfaction with the NHI. “It can serve as an important reference for other nations in the development of world-class universal health care systems,” Chen said.